I have come to realise the importance of sleep on my mind feeling absolutely incredible. I've found on the nights when I sleep all the way through the night (I know I sound like a child), I actually wake up in the morning not feeling tired, and I feel awake throughout the day instead of wanting to nap at midday. Whereas, on the days when I have a broken sleep, I wake up feeling shattered and I feel tired and exhausted throughout the whole day. I strongly believe a mattress is the main source of whether you have a good or bad nights sleep. Especially if you suffer from back pain or any other pain in your body which makes it uncomfortable to sleep. I remember sleeping wonderfully on my mattress and then suddenly I was sleeping uncomfortably and couldn't fall asleep when I was exhausted. I then swapped my mattress with my dad and I was again having a great nights sleep but I would go through occasions of having a rough nights sleep and constantly tossing and turning till I actually fell asleep. However, there's such thing as a Leesa mattress which is super soft and comfy. Sit on it and your bum sinks in! It's wonderful. The Leesa mattress has 3 layers of foam which adjusts to your body to provide optimum support and comfort.As it takes more than 1 night to test out a mattress, you have 100 days to test your mattress out and if you don't like it, they'll come and pick it up for free and donate it to a local charity. If a local charity cannot be found then it will be recycled! Leesa made it so easy for me to get a new mattress as it came packaged in a large, tall box which I was easily able to carry up my stairs. All I had to do then was unroll the mattress and make a hole in the packaging and the mattress did all the rest! I just watched it go to it's original size; it was incredible! Definitely a fascinating process to watch. (Ignore the storage underneath my bed). I personally have a comfortable nights sleep now. To begin with my body had to adapt to the different mattress as it was something I wasn't used to but after a week or two, I fall asleep straight away if I'm tired. It's so cosy to sit on while I do my university work too or evening laying on my bed watching a movie. I love it! Remember; if you're having an uncomfortable nights sleep, then if it's not your pillows, it's your mattress! Maybe look into buying a new one if you cannot remember the last time it was replaced! 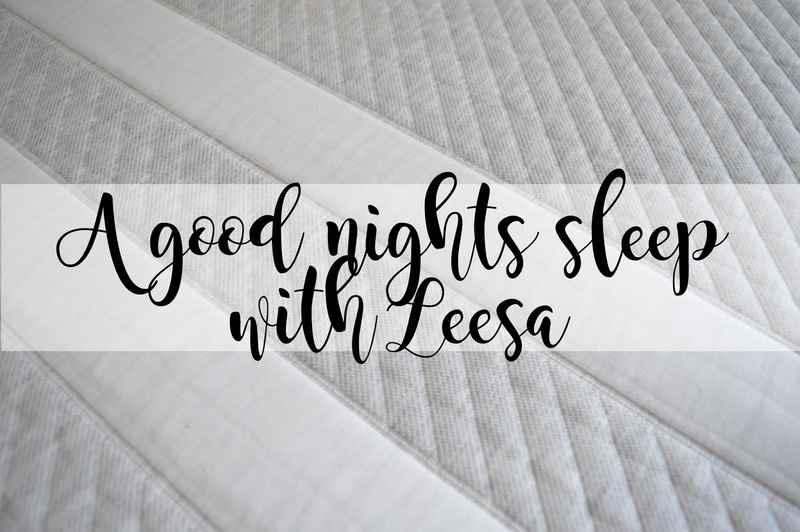 By following this link, you can have £50 off your very own Leesa mattress.